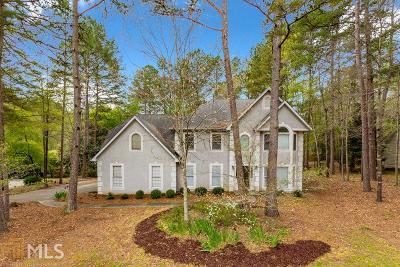 Charming two story home in the highly sought after Peachtree City. Private backyard with a covered back porch and fire pit. Side entry garage. The main level features include a Galley kitchen with a breakfast nook, formal dining, living & Great rooms. Upstairs includes the Master bedroom with a reading/desk nook. Master bath has a tile shower and glass door, plus a walk-in closet. 3 more spacious bedrooms down the hall. Home is being sold as is. Directions: Head South On Ga-54 N Toward Ga-54 N. Turn Right Onto Joel Cowan Pkwy. Turn Left Onto Crosstown Drive. Turn Right Onto S Peachtree Pkwy. Turn Right Onto Robinson Rd. Turn Left Onto Kimmer Rd. Turn Right Onto Legacy Ln. The Property Will Be On The Right.